The delicious, sweet flavours and smells from strawberries come from over 350 molecules working together to simultaneously produce them…just slightly more than the average 200 seeds you see on the outside! 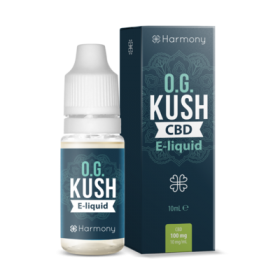 Combined with our CBD oil, this is a juicy experience that will definitely conjure up memories of summer! We crafted the Strawberry E Juice with vapers in mind and hemp at heart, it’s a CBD E Liquid to vape with an electronic cigarette. It strawberry aromas is 100% authentic, all of our products come with various levels of CBD strengths. 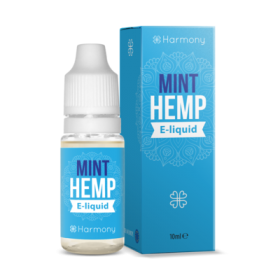 Harmony stands out in the E Liquid crowd thanks to our unwavering commitment to quality and expertise: Our CBD concentration and composition are certified monthly by independent laboratories. This level of quality and consistency is only made possible by the certified organic hemp grown with love and care by family run farms that we have partnered with all around Europe. CBD is a natural compound that we extract from specific hemp strains. Contrary to THC, it has no psychoactive or hallucinogenic effects.